Feel like a real Pokémon Trainer as you travel through the Kanto region in the Pokémon™: Let’s Go, Pikachu! or Pokémon™: Let’s Go, Eevee! games with Poké Ball™ Plus! 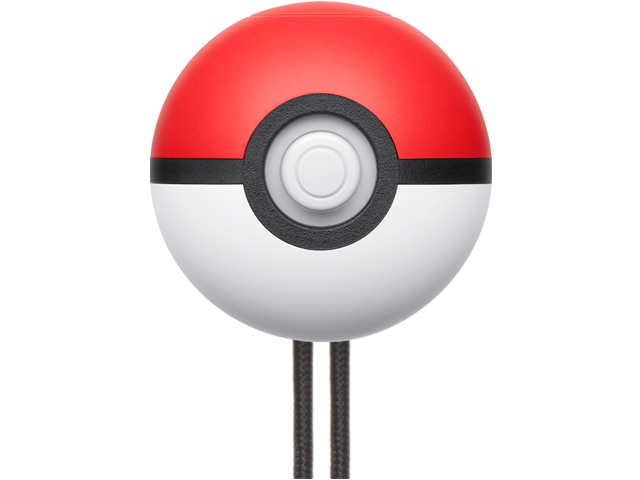 Make a gentle throwing motion to catch a Pokémon to feel and hear in the palm of your hand. Take your favorite Pokémon out for a stroll in Poké Ball Plus. Every accessory contains the Mythical Pokémon Mew! Just like with Pokémon™ GO Plus, you can use your Poké Ball Plus when playing Pokémon™ GO* on a compatible smartphone to easily search for Pokémon. Games and system sold separately.